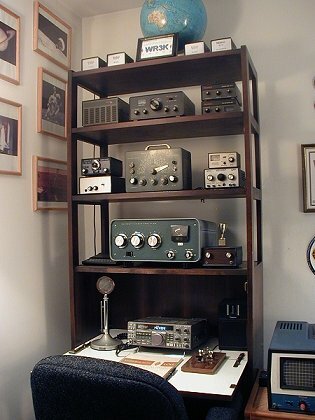 Welcome to the WB3T shack! 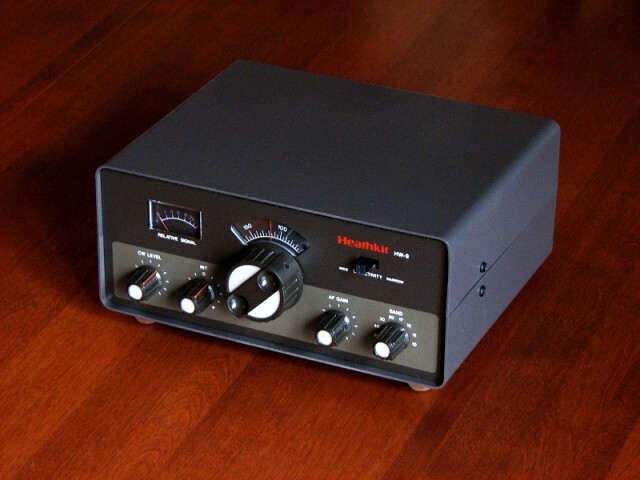 Look for me on the QRP Calling Frequencies, especially 7.040, 10.106, and 14.060. I also visit the 80m, 15m and 20m QRP frequencies from time to time. 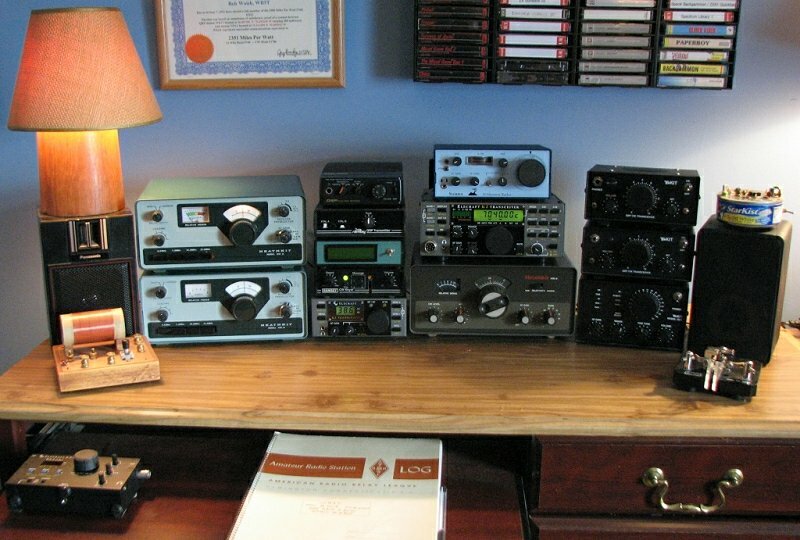 My hobbies are QRP and DXing plus astronomy, photography, RC modeling, and music. There is a collection of my moon, sun, and planet photos on the astro page. 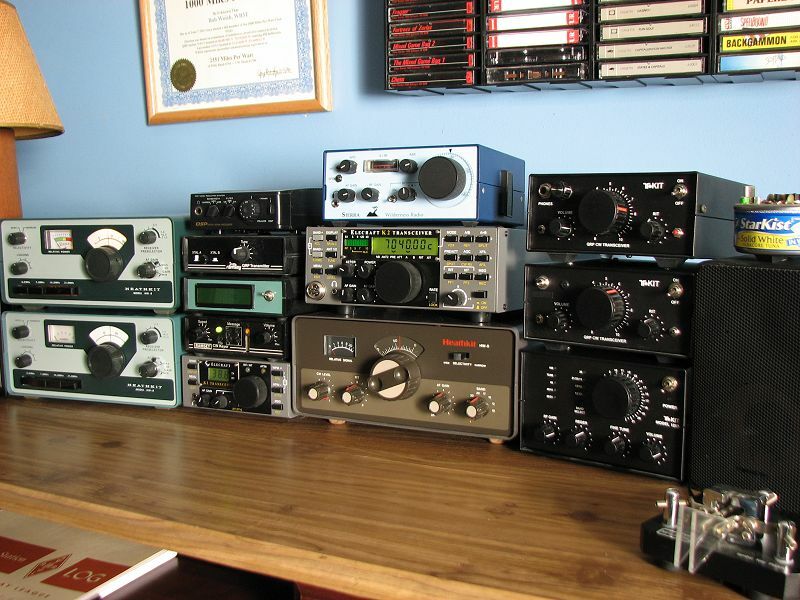 If you like QRP gear, check the links above! Need a Resume? Click on the Banner - Special Discount for Hams, Call Sign Required. I hope you enjoy your visit! Please check back soon as I add pictures regularly. Click Saturn for the Astronomy Page! 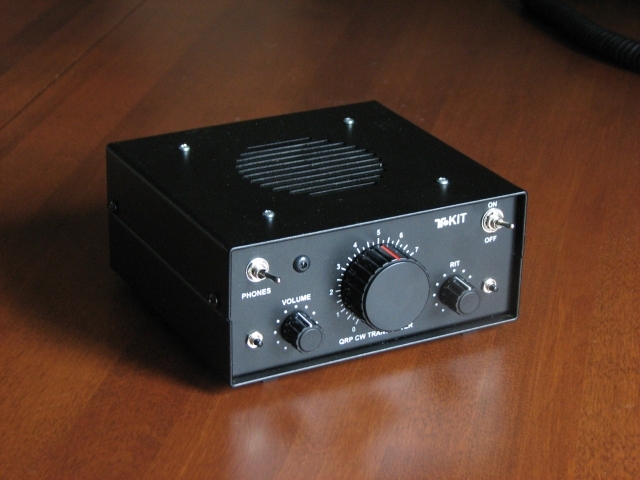 Creator of the MILLIWATTER QRP Kit. Part of the QRP Storage Area at WB3T. But HEY! WHO LET THAT KILOWATT AMPLIFIER IN HERE??? 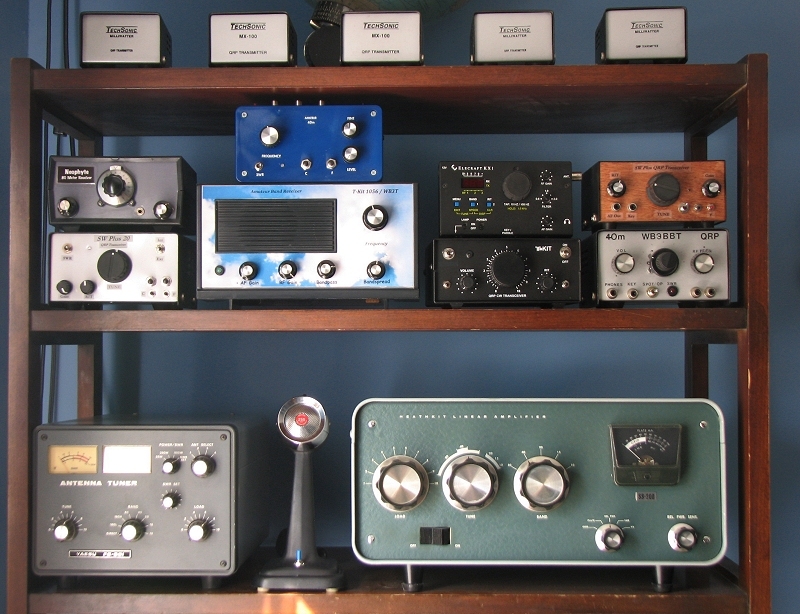 Notice the five TechSonic Milliwatters revered at the highest point in the shack! 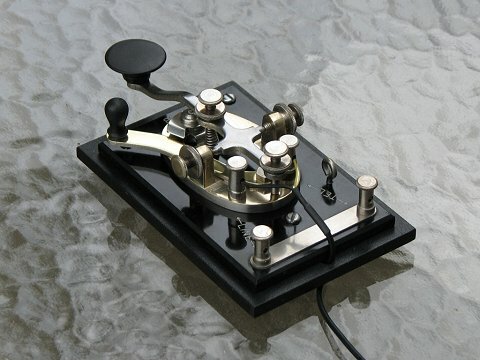 That was my contribution to the QRP world in my WB3BBT days. 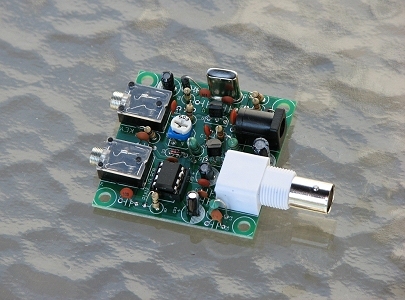 A 100mW to 3 Watt QRP transmitter kit for 80, 40, 30, and 20 with 70% efficiency for long battery life. Current drain, power output, VXO operation, low harmonic content, and chirp-free tone were the design goals that were realized and far outperformed other TX kits. See 73 Magazine October 1994. My latest hidden antenna experiment. I've heard of hams having success with the Hamstick Rotatable Dipole, and it's been no disappointment. Plenty of good reports on 40 meters and a handful of DX contacts, including Serbia on 1.4 Watts! This is only 23 feet up, hidden behind the trees in my condo community. 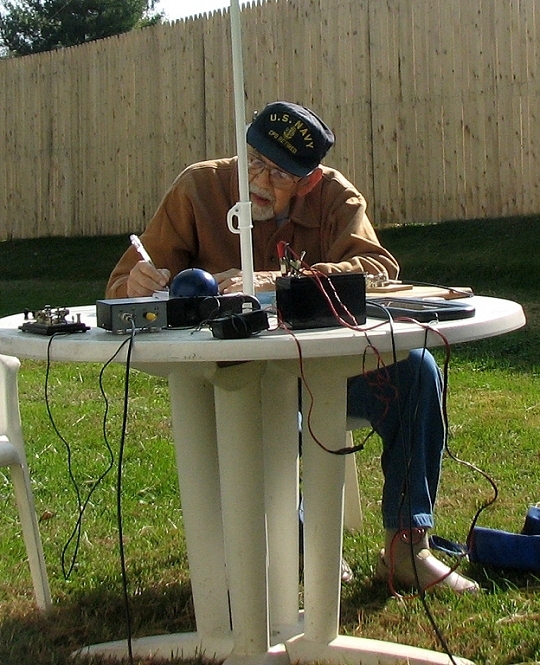 In a previous yardpedition, Jack, K3CHR worked Tennessee, Ohio, and Western PA using a Rockmite at 1/2 Watt on a portable trap dipole only 15 feet up. Power was supplied by a solar charged 7 Amp Hour lead acid battery. 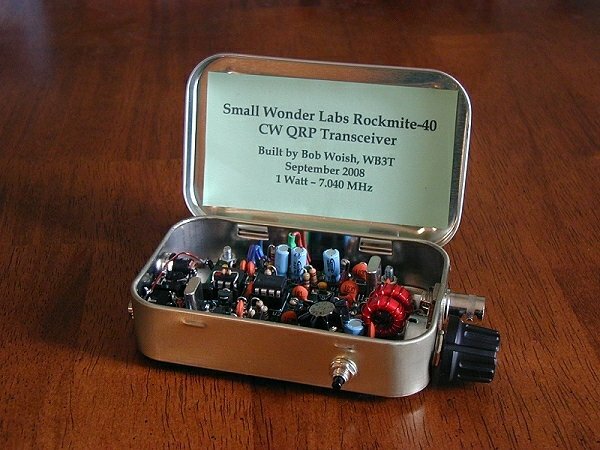 Later I got additional email SWL reports from NAQCC club members that Jack's Rockmite signal had also made it to Michigan and Texas. 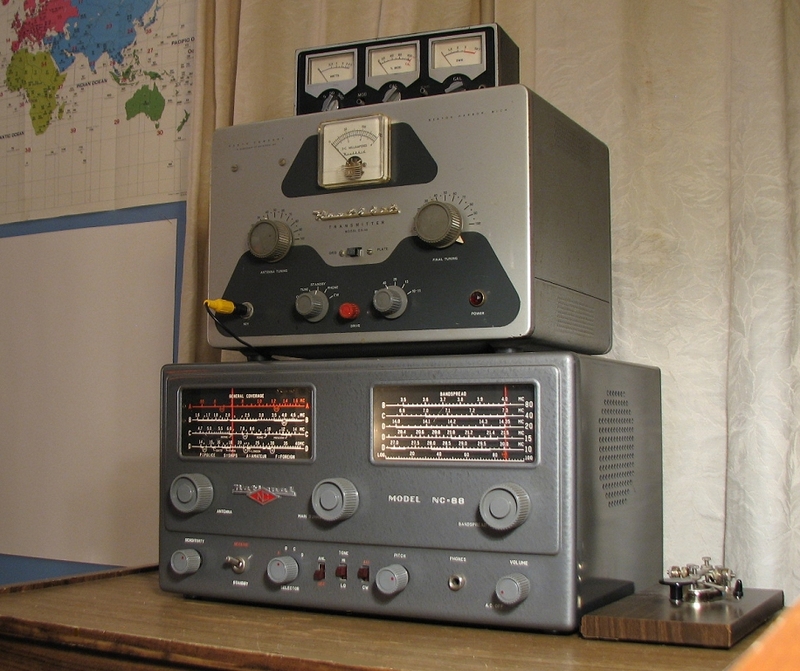 That evening I used a 2-Watt SW Plus 20 to contact Tennessee, Michigan, Indiana, New Hampshire, and Spain. The next day produced Georgia, Mississippi, West Virginia, and Bulgaria. 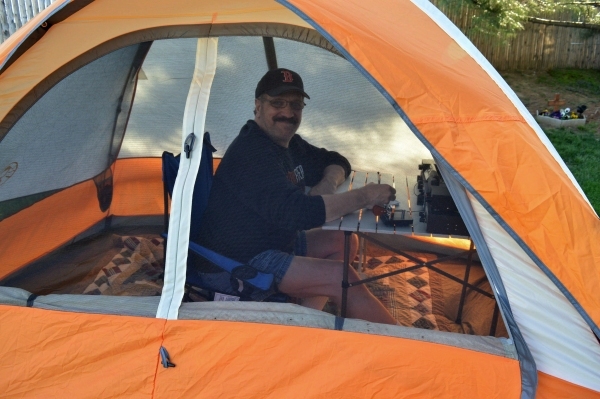 But my favorite QSO of the first weekend with my new SW Plus 20 was with KB2HHW near the Smoky Mountains in Tennessee, who was also QRP portable. We had a great 40-minute chat, 589 both ways, until the band shifted and the QSB got us. 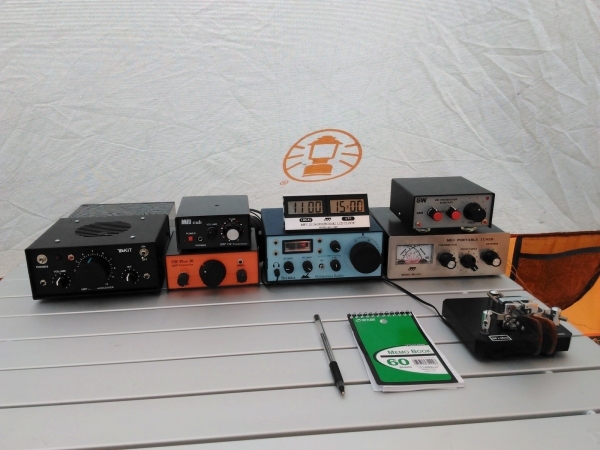 QRP Yard-Peditions are Back with Spring Weather! Working my new SW Plus 20 at 2 Watts! Memory keyer installed. Jack, K3CHR, breaking in the Rockmite 20. Click the Image Above for SKCC Info! As a minimalist QRPer, I always enjoy getting my money's worth. I paid $3.59 for this little kit on eBay (and that included shipping!) and although it took a few weeks to arrive from China, it was worth the wait. 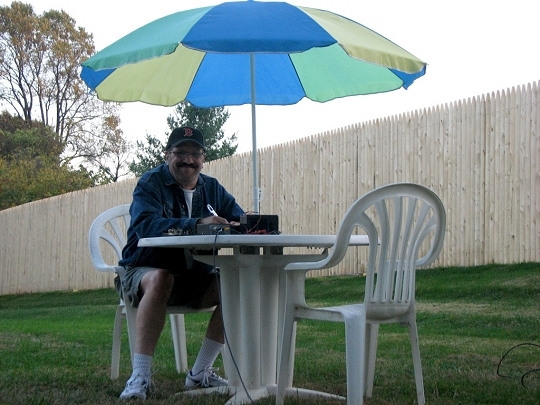 After sending a half dozen CQ's or so, I got a call from Jim, K2ZF in Northern New Jersey and got a 559 report, along with comments that the signal was "very clean and nice to copy." Once in a while you just have a QSO that has a little extra fun to it, and being the first one for this little rig at only 480 mW, and also because it was Jim's birthday, I thought I'd commemorate it here. Happy Birthday Jim, and thanks for the nice Q! 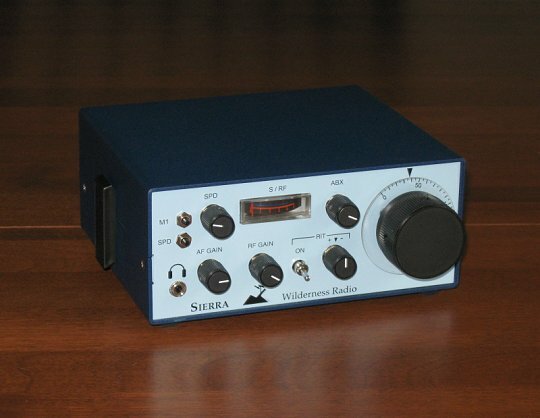 Using a Wilderness Sierra, Ten Tec 1340, Small Wonder Labs SW Plus 20 and SW Plus 30, I made eight contacts on four different bands in very poor propagation. You might also notice the MFJ Cub-15, but 15 meters was dead as a door nail. Worse, the first half of the day it was pouring rain, so setting up was no picnic. 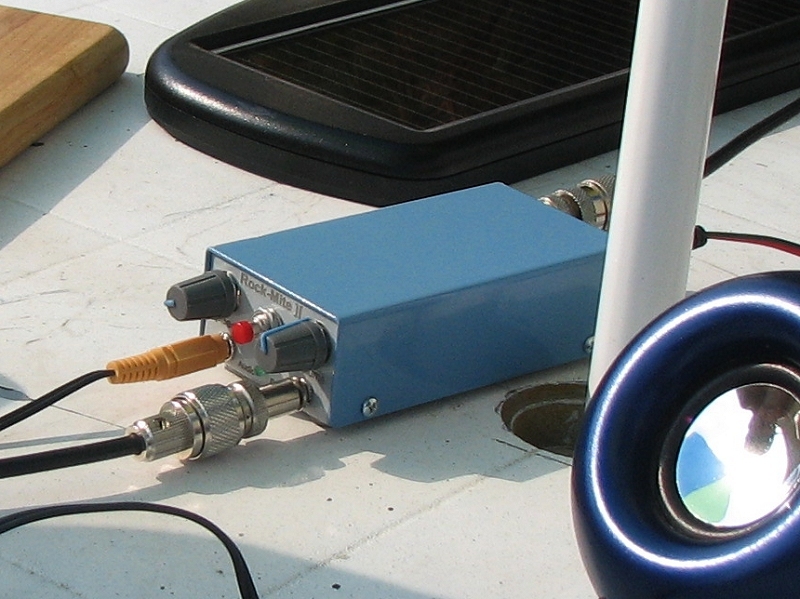 The antenna was my old standby, a 33-foot wire vertical on a telescoping fiberglass mast. Not all contacts counted for TTF as some were after the end of the event, and one was on 30 meters. 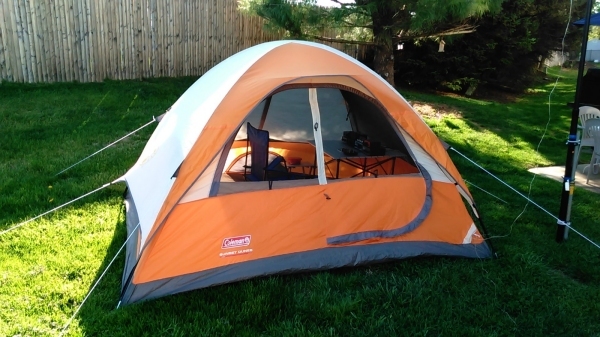 But the spirit of the day was set up outside with all portable equipment and see what you can do. I covered over half the country. It was a fun day! 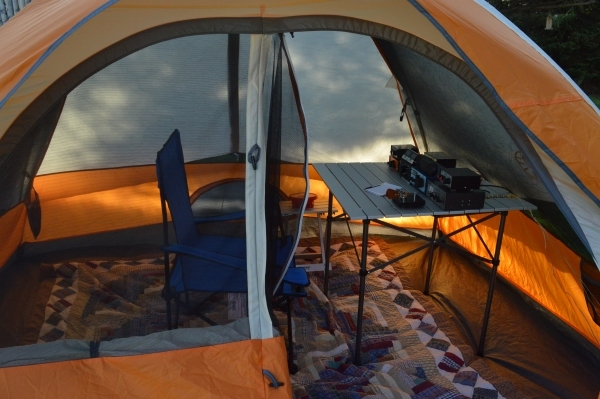 Chateau Coleman, the portable QTH.